A custom page allows you to have different layout, look and feel from regular pages in WordPress. You can even have it work as full fledged PHP page which is what you want right? Create a page call it my-custom-page.php and save it under your theme directory. Write your PHP code under the custom page definition line, you can call your other WP template, functions inside this file. php require_once("header.php");?> or whatever way you are integrating your header and footer to keep the layout consistent. Since this is a custom page, you NEED TO CREATE A PAGE from WordPress admin panel. Add a page title, depending upon how you have coded the custom page, you might add page body (description) as well. You can fully skip the description if it’s written in the custom php page. At right hand side, select Template. Choose My Custom Page from the dropdown. You are all set! Go to the slug (permalink) created by wordpress and see the page. @Adam also mentioned handy way to find your custom file especially if you have many in your theme. As Nigerians sit home today to celebrate the the 2017 May Day, it is important we take a moment to reflect on an issue that's fast becoming a menace in the society. We all know it, we see it but we choose to turn a blind eye to it. Some 5/10 years ago, It used to be difficult to get access to weed/cannabis let alone smoke it in public places. Back then touts sell it 'codedly' at select places like the then Kuramo beach, Oshodi under bridge, garages and other dark spots. Those who sell and smoke it do so with fear and a certain level of respect for the law but fast forward to 2017, caution has been thrown to the wind and you find weed/cannabis readily available and publicly smoked with a level of recklessness that's scary. It's getting really bad that any one can get these drugs that has now evolved from just weed to all sorts of narcotics with different names like 'Weed, SK, Loud, Arizona, Igbeshin, codeine, refnol, shisha' and it's readily available at night clubs, pubs, joints, mechanic workshops even cab drivers peddle it and no one is doing anything about it. Lagos State and indeed Nigeria has a huge decision to make and it needs to happen soon. We need to decide if we want to run a referendum to legalise Cannabis or totally fight it. 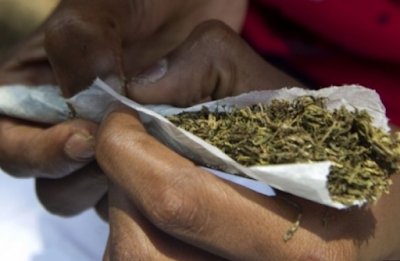 In the course of this report, LIB spoke to users of cannabis who spoke to us anonymously. Most of them eulogised the health benefits of cannabis, how cannabis is causing major breakthrough in medicine one even said, 'bros abeg go read about am, cannabis is good for your body, if you google am you go see am'. Another respondent told us, 'if it's as bad as you claim why is it being legalised in many deleoped countries? abi you get sense pass them?'. Created in 1990, the National Drug Law Enforcement Agency (NDLEA) has the job of curtailing the consumption of drugs in Nigeria. And the 2004 NDLEA Act is explicitly clear on the use/sale of drugs with clearly outlined punishments. Section 11(2) (b) of the act says, 'in respect of offences under paragraphs (c), (f), (g) and (i) thereof, anyone found guilty will be imprisoned for a term not less than fifteen years and not exceeding twenty-five years. (k) engages in the concealment or disguise of the true nature, source, location, disposition, movement, rights with respect to or ownership of property knowing that such property is derived from any offence referred to in this section, shall be guilty of an offence under this Act and subject to the provisions of subsection (3) of this section, be liable on conviction to the penalties provided in subsection (2) of this section. (b) in respect of offences under paragraphs (c), (f), (g) and (i) thereof, be imprisonment for a term not less than fifteen years and not exceeding twenty-five years. (3) The Tribunal before whom an accused is being convicted may in addition to the punishment prescribed in subsection (2) of this section, make an order requiring an offender to undergo measures such as treatment, education, aftercare, rehabilitation or social re-integration. (b) for treatment, education, aftercare, rehabilitation, social integration of the offender. The truth is, weed is weed, cannabis is cannabis, marijuana is marijuana and they are all dangerous narcotics. No matter how we justify it with it's fast growing medical advantage or the fact that most countries are beginning to legalise it, hard drugs will always remain hard drugs and it'll always be bad for your health in the long run! Persistently, the scourge of online scams has been a problem in Nigeria, and indeed Africa. Unsuspecting citizens have been sleeved of their funds online by fraudulent persons who pose with one shady business transaction or the other and those who set up fake ecommerce platforms or offers. While the problem has persisted over the years, there have been attempts to curb it’s nuisance but the scammers have had the better laugh as they seemed hard to track, majorly because of their pseudo identities which sometimes can be more than one. It was to this end that a young Nigerian called a team together and they began work on a startup platform known as SCAM ALERT NG ( www.scamalertng.com). SCAM ALERT NG has a database of online scammers and is made available to the public and anybody who wants to verify an ecommerce platform, seller or people making an offer to them that involves money before going ahead with such transactions. 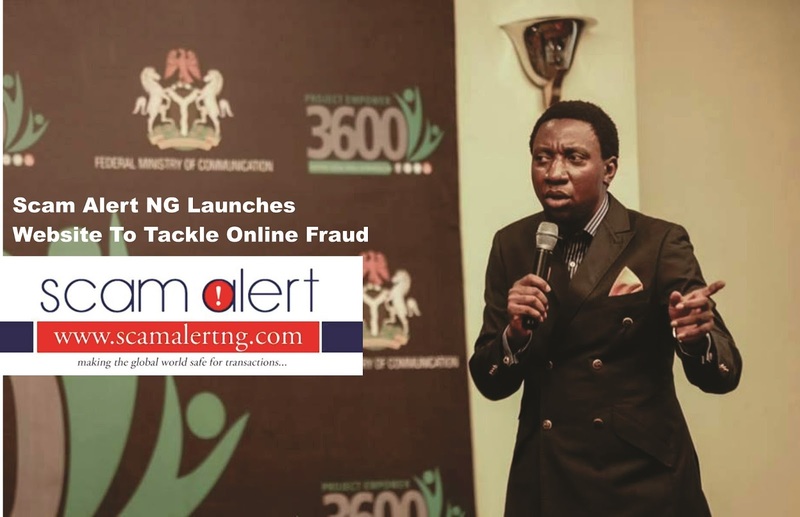 The database has the names, phone numbers, account numbers and other details of confirmed scammers in Nigeria and users are given the privilege to report persons that may not be on the database already. Speaking about this, the founder of the platform, Mr. Kalada Belema Meshack-Hart said that ‘the number of reports that reach me frequently about the activities of these online fraudsters is quite disturbing, especially the ones posing as sellers on Instagram. I thought of what to do about it for some time before the idea for this website came. We are calling out to everybody to use it to verify those that pose online with an offer or more. The site is user-friendly and quite simple for anybody to use and it is updated daily”. The Scam Alert NG team believes you shouldn’t work so hard for your money and then lose it to greedy people online. They want everyone to take advantage of the website and be sure to verify people on it before going ahead with transactions. Before you make a buying decision online, use the search box on the home page to verify if the buyer is genuine. Simply type any details you have of the business (Business name, phone number, bank details, BBM pin etc) and click search. If the buyer is fraudulent you will immediately see the details by clicking on the result of the search.